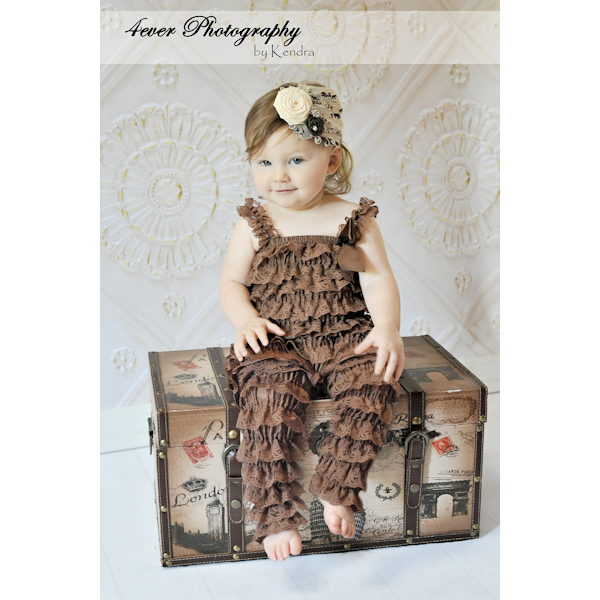 ON SALE Chocolate brown lace petti romper for infant and toddler girls. 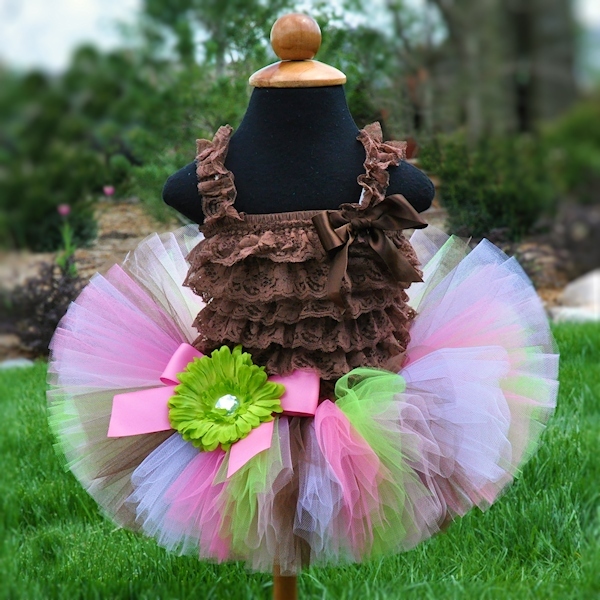 This chocolate brown ruffled lace petti romper is perfect for pairing with tutus, petti skirts or wearing alone, and is a fabulous choice for autumn shabby chic portraits. Each romper is made with many soft layers of lace, and includes straps and a satin bow. *Rompers are designed to stretch to fit. If you are wanting a looser fit we recommend choosing the next size up.